In November, the celebration season begins to move quickly. If you are hosting Thanksgiving dinner, you’ll want to order your turkey, plan the wine and think about table settings. If you’re considering a farm-raised heritage turkey, check out recommendations from Lucie Snodgrass in her 2010 book, Dishing Up Maryland (which remains a favorite and is a great holiday gift). The Jefferson cider, says Power, “is great with turkey. It has a little bit of body and an oaky flavor,” due to its final step of aging in oak barrels. 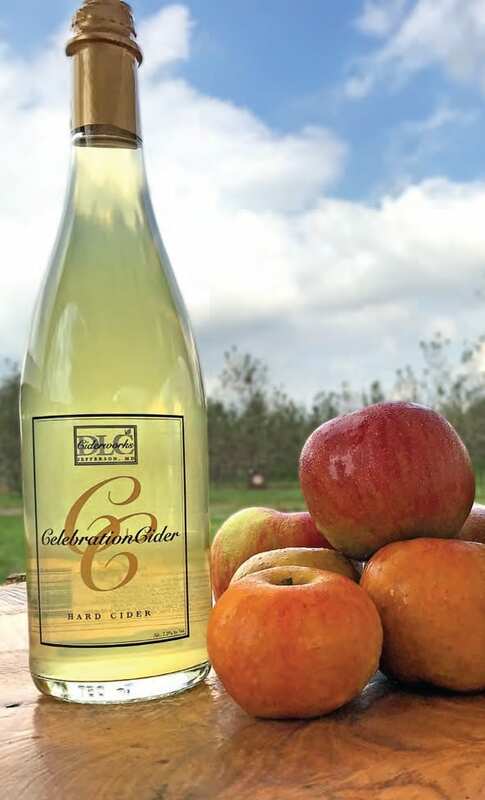 Distillery Lane also makes holiday ciders like sparkling Celebration, perfect for a toast. Thanksgiving is Meaghan Carpenter’s favorite holiday. And there’s always sauerkraut on the table. This isn’t just because it’s packed with vitamins and healthy probiotics. 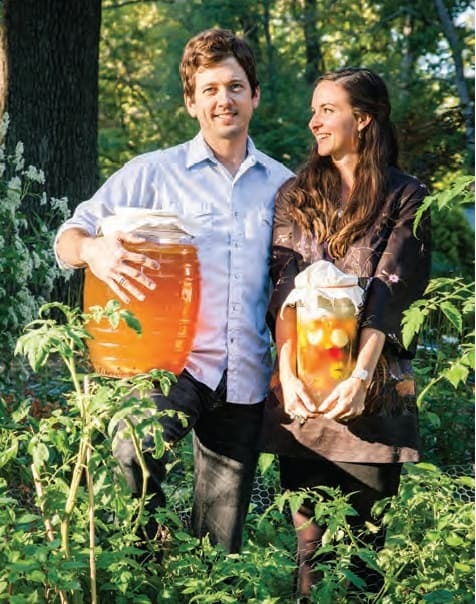 And it isn’t because she and husband, Shane, own Hex Ferments, a five-year-old fermented foods company based in Baltimore. Carpenter grew up in Minnesota, where, like Baltimore, fermented cabbage was part of the turkey feast. 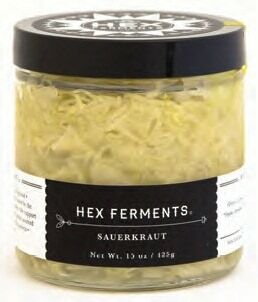 A 16-ounce jar of Hex kraut will feed a crowd, she says. But she also stresses the importance of a good holiday pickle plate. “Pickling is a process, not a food,” Carpenter points out. “Everything we make is a pickle.” And yes, the company does pickled cucumbers, along with carrots, beets and other root vegetables. Carpenter grew up eating her Swedish grandmother’s caraway seed kraut simmered with turkey neck and further pickled with gin. See Grandma Alice’s recipe below, adapted with local pizazz. Melt butter in a medium pot over medium heat. Once liquefied, add onions and apples. Add a pinch of salt and pepper, and cook until onions are translucent (10-15 min.). Add the beer and scrape the brown bits from the bottom of the pan with a wooden spoon. Once deglazed, add entire jar of HEX, stock, mustard and caraway. Simmer until liquid is reduced to one third. Simmer longer for a thicker kraut. Serve warm. Best with leftovers. Recipe adapted from HEX Ferments Co-Owner/Founder, Meaghan Carpenter’s Grandma Alice. 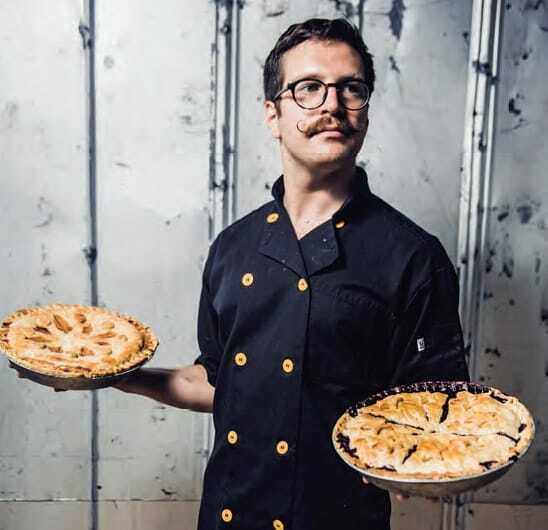 Max Reim doesn’t like to go too crazy with his sweet pies. “I want them to taste like down home. Like something you’d steal out of your grandmother’s cabinet,” says the 31-year-old founder and owner of Pie Time. Thanksgiving classics include sweet potato and pumpkin from Bartenfelder’s Farm, apple sourced from Reid’s Orchards. Reim’s savory pies are a different matter. “They’re more progressive,” he says. Duck confit gumbo, Julia Childs’ chicken fricassee, mushroom Bourguignon and chili verde with braised pork shoulder and tomatillos. The pie man sells his wares at local farmers markets and has his sights on a brick-and-mortar location on East Baltimore Street, near Patterson Park. Thanksgiving orders for sweet pies can be placed at the Waverly market or the downtown Baltimore Farmers Market and Bazaar. Magdalena Chef Mark Levy, who is himself a fun guy, makes simple dishes that highlight the mysterious white truffle. 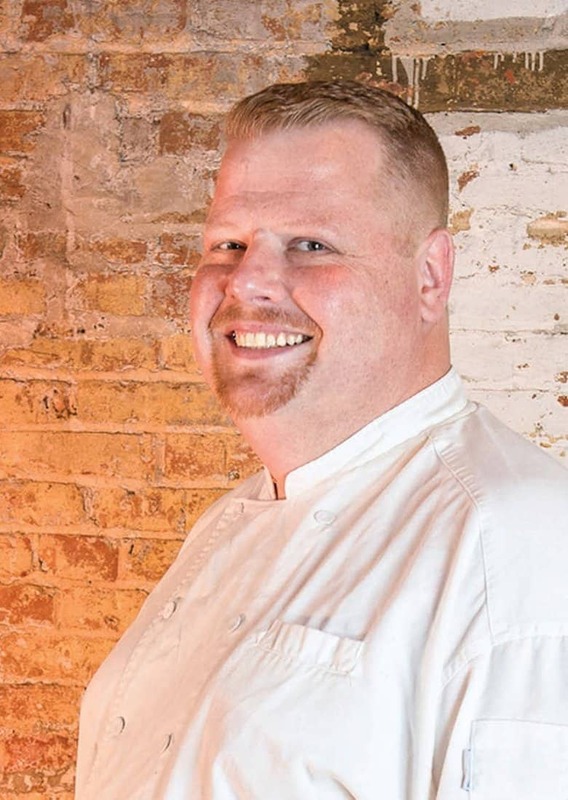 Mark Levy, chef at Baltimore’s Magdalena restaurant, is enchanted by truffles. “They’re so mysterious,” says the British-born chef, who previously worked at The Point, a five-star restaurant in what was once the Rockefeller family’s Adirondacks cottage. His current gig is at The Ivy Hotel, Maryland’s only establishment with the coveted Relais & Chateaux brand. For many, a turkey dinner wouldn’t be the same without the tart burst of cranberries embedded in the perfect fork load of turkey, mashed potatoes and gravy. But a burst of cranberry in your glass of wine is a whole ‘nother story. Owner Mary Ianniello describes the cranberry wine from her Havre de Grace-based Mount Felix winery as “literally cranberry juice with a kick.” The Chambourcin grapes are fermented with cranberry and apple, and Ianniello suggests dressing it up like sangria or using it as the base for a cosmo with a squeeze of lime. Mount Felix also makes a pumpkin spice wine, which Ianniello suggests heating in a crockpot with a cinnamon stick. “It tastes fantastic,” she says. “Like mulled wine.” Bonus: it’ll make your house smell like the holidays. © 2019 Maryland Sip and Savor. All Rights Reserved.